The Cooper Tires ARX of Mid-Ohio rallycross doubleheader added to 2019 season schedule. LEXINGTON, Ohio (January 16, 2019) — Tickets to the 58th season of racing at Mid-Ohio Sports Car Course are on sale now for all eight race events. The 2019 schedule at the legendary road course in Lexington, Ohio will feature its largest and most diverse spectator schedule with three additional event weekends added. Now through February 28 until 9 p.m. ET, customers may purchase event tickets online at midohio.com or by calling 419-884-4000 at an advance price offering an additional savings. This also includes motorhome and tent camping, grandstand seats, infield parking, and paddock passes where applicable by event. LEXINGTON, Ohio (December 13, 2018) – Mid-Ohio Season Race Passes are on sale now for the 58th season of racing at the legendary road course in Lexington, Ohio. As announced last week, Mid-Ohio Sports Car Course will feature its largest and most diverse spectator schedule in 2019 with three additional event weekends added. The National Auto Sport Association (NASA) was formed in 1991 to deliver high quality motorsports events to enthusiasts at major racing venues throughout the nation. NASA has created programs that allow owners of both racecars and high-performance street-driven vehicles to enjoy the full performance capabilities of their cars in a safe and controlled environment. NASA offers many different programs that will allow you to enjoy motorsports on a number of different levels, including our High Performance Driving Events (HPDE), Rally Sport, Time Trial, NASA-X and Competition Racing programs. Learn more about the NASA Championships at nasachampionships.com. 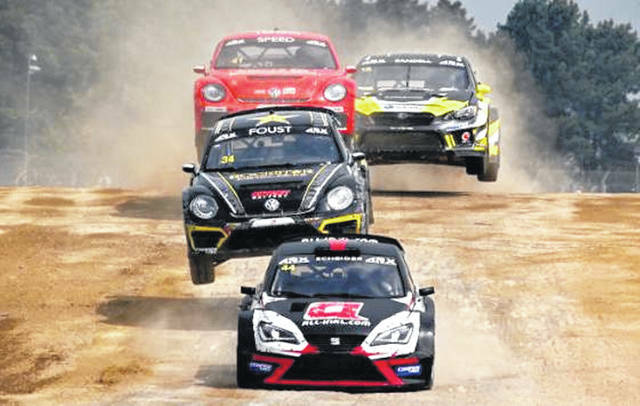 https://www.sunburynews.com/wp-content/uploads/sites/48/2019/02/web1_2018_01_SILV_ATMOSPHERE__301_.jpgThe Cooper Tires ARX of Mid-Ohio rallycross doubleheader added to 2019 season schedule.